Our aim was to identify drivers of and barriers to help-seeking behaviour of older women with pelvic floor dysfunction (PFD) living independently in Australia . Women aged ≥55 years were recruited to this cross-sectional study during July and August 2016. 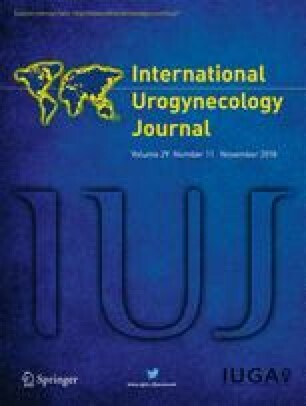 Bladder, bowel, pelvic organ prolapse (POP) and sexual dysfunction were assessed with the Australian Pelvic Floor Questionnaire (APFQ). Drivers and barriers were based on the Barriers to Incontinence Care Seeking Questionnaire. Univariate analyses were used to assess any significant relationships between PFD, age, education level, self-reported PFD, barriers and drivers. Of the 376 study participants [mean, standard deviation (SD) age 68.6 (10.5) years], 67% reported symptoms of PFD and 98.7% scored >0 on the APFQ. Women were more likely to seek help if they scored higher on the APFQ (p < 0.001). The main barrier to seeking help was the perception that PFD was a normal part of ageing (22.4%). Of those who did seek help (50%), the main factor was increased level of symptom bother (51.4%). There was no difference in age or education level between women who did and did not seek help. Women are more likely to seek help for PFD if scoring higher on the APFQ or symptoms are becoming more bothersome. They are less likely to seek help if they view their symptoms as normal. Future direction should be taken to raise awareness of normal pelvic floor function as well as the availability of help for PFD. The online version of this article ( https://doi.org/10.1007/s00192-018-3618-2) contains supplementary material, which is available to authorized users. The authors would like to acknowledge Dr. Terese Fisher, RAAFA, Merriwa and the staff at St Ives, Murdoch and Long Island Village, VIC, Australia. Australian Institute of Health and Welfare, Australian's health. <http://www.aihw.gov.au/WorkArea/DownloadAsset.aspx?id=60129548150>, 2014 (accessed 20/3/2016. ).